Subway offering fun festivities on National Sub Day in Sebastian, Florida. SEBASTIAN – This Saturday, November 3rd, it’s National Sub Day and the Subway on Barber Street and U.S. Highway 1 will be celebrating. Subway will be offering a free sub when you purchase a sub and a drink. There will also be face painting for the kids, Uncle Louie Italian Ice, and Ice Cream from 12-4 p.m. While the store is open from 9 a.m. to 9 p.m., all the fun festivities will be from 11 a.m. to 7 p.m.
“Grab your family and friends and come on down for breakfast, lunch or dinner to get your picture taken with Subman,” Subway manager Dana Sussman said. The store will also be having raffles for a free dozen cookies or two movie tickets. 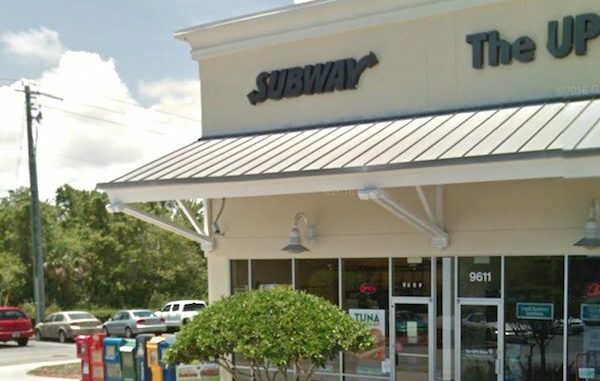 This Subway store is located at 9609 U.S. Highway 1 in Sebastian. It’s in the Publix shopping plaza at the corner of Barber St. and U.S. Highway 1.